It's getting close to the end of another year (I can't quite believe is 2017 next week) and for a lot of us, the start of a new year is the perfect time to get organised. If you're anything like me, I sometimes need a bit of a kick up the bum to get things done and be more organised so my mum always makes a point of popping a diary for my Christmas stocking, to get me prepared for an organised year ahead. 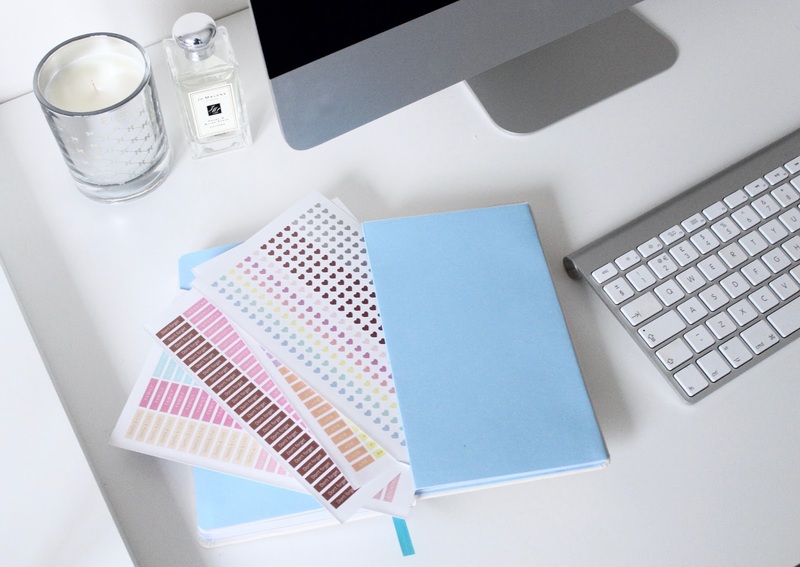 I personally love receiving diaries or any kind of stationary for that matter - it gives me that little bit of extra motivation I need to start the year as I mean to go on - organised, focused and positive. There's just something so satisfying about filling out a diary too - it makes me feel like I've got my sh*t together, even if I haven't. 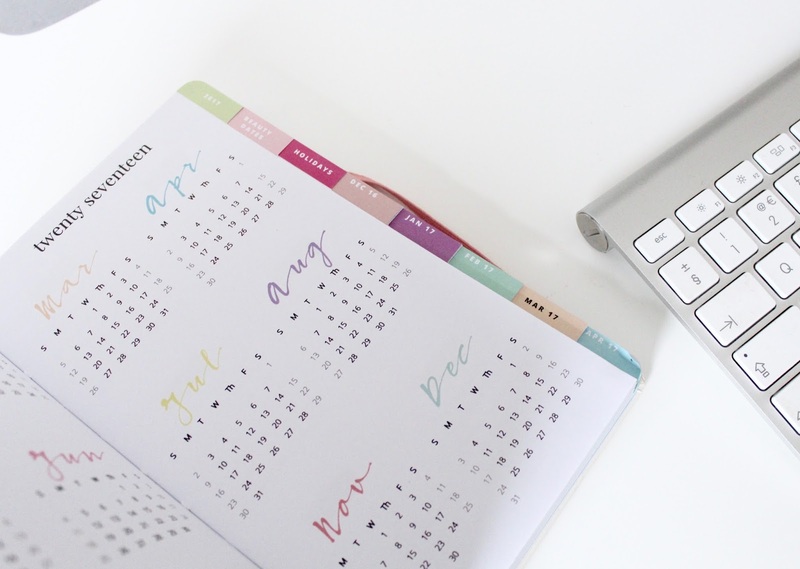 As a blogger, my mind is constantly full of dates I need to remember - when I need to post that photo on Instagram, when that meeting is, where that event is taking place and so on. As you imagine, it's pretty hard to remember and keep track of all this stuff so that's where a diary comes in particularly useful. I know you can use your iPhone calendar and various apps to keep track of important dates but for me, nothing beats putting pen to paper and jotting them down in a cute little diary. With this being said, let me introduce you to what might possibly be the best diary I've ever owned. the Feel Unique beauty diary. 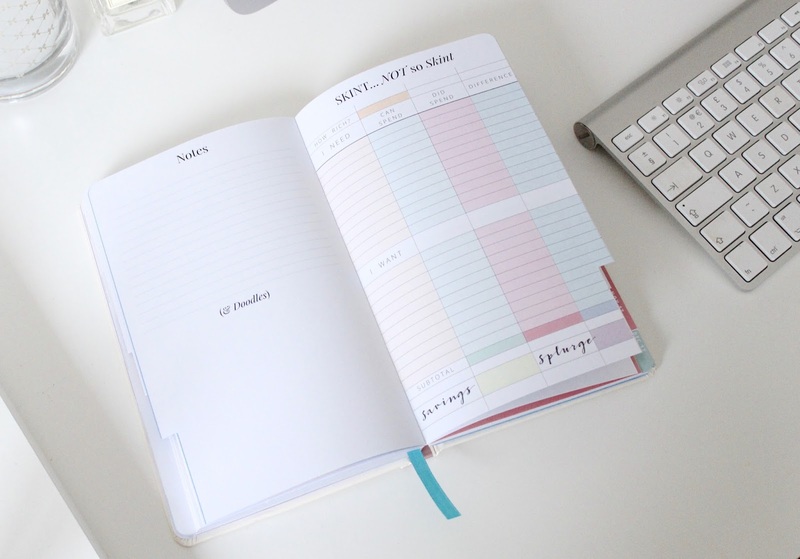 When they contacted me to let me know about their new 2017 diary, I was so impressed by the concept and think it's the perfect diary for beauty lovers, bloggers or just anyone who wants to get more organised! Unlike your standard diary, Feel Unique have added loads of cute little extras to theirs which makes it so much more fun, pretty and useful than others I've had in the past. It's the type of diary you'll actually want to keep in your handbag and pull out to make notes in. As you can see, the exterior is a cute peach colour and fairly simple with 2017 in a pretty rose gold font and a pink elastic strap to keep the diary secure. I personally love how simple it is as it looks chic and sophisticated - perfect for any important meetings when you want to look like you mean business! When you open the diary up, that's where the fun really starts. It has the cutest pastel colour palette with girly fonts and colour coded tabs down the side so you can easily find what you're looking for and each month stars with the most adorable cover page featuring an inspiring, motivational or cheeky little quote (check out Feb's cute love themed page). 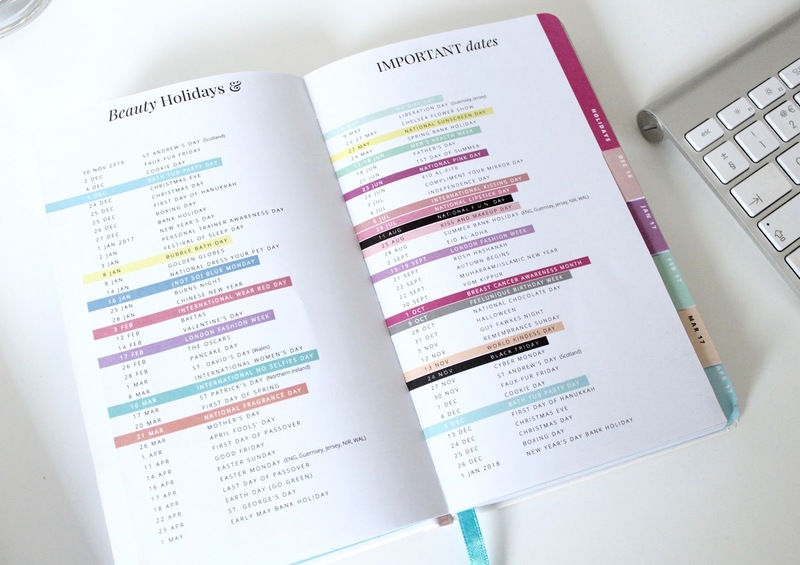 It also includes a 'beauty holiday's & important dates' section which is just fabulous. I mean we mustn't forget when national lipstick day is ladies! In all seriousness though, it has some really good info in there and gives you dates you might not be aware of such as Breast Cancer Awareness month. There's also a handy page to help you manage your money titled 'Skint... Not so Skint' which I absolutely love. I'm always working out money or saving up for a new handbag so this will help me prioritise what I actually need to buy vs the things I want and hopefully help me to manage my spending a little bit better. 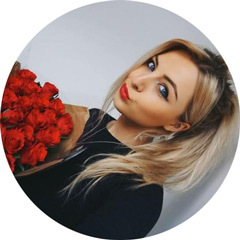 As if all of this wasn't enough, you can also find beauty hacks and discount codes dotted throughout the diary but I'll let you discover those for yourself! The back page of the diary has a little pocket and is full of cute stickers you can stick on appropriate dates. I'm sure the 'Don't forget' stickers will come in very handy for a forgetful person like me! Not to mention they look adorable and will be so much fun to use! Feel Unique have literally thought of everything anyone could ever want in a diary - I'm so impressed! If you love this diary just as much as I do or know someone who would, you can grab yours here for only £10.50 (currently 30% off so grab one while you can!). I personally think this would make the perfect Christmas gift for any beauty lover! 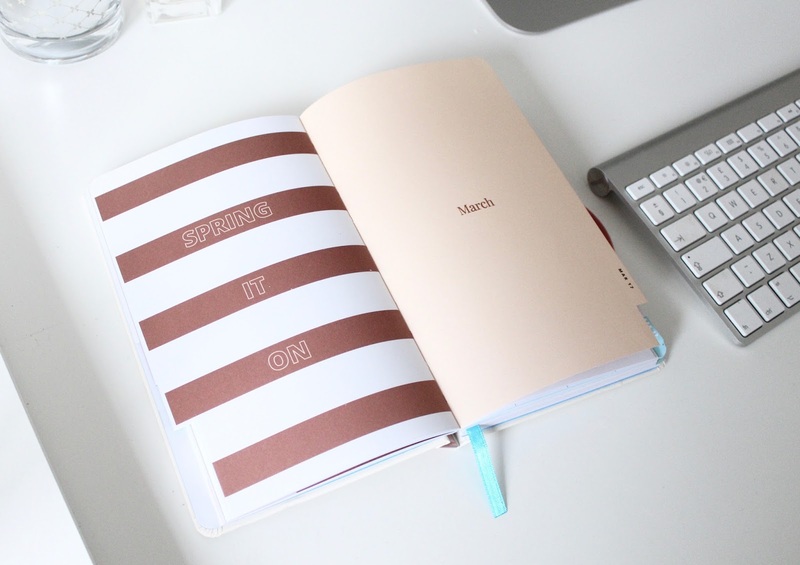 Do you like to get a new diary ahead of the new year?! *Sponsored - however, opinions are my own. I've just been looking at planners to help me get organised next year and this is a perfect, affordable one! Definitely getting one! I'm in love with this diary...if I didn't already have one diary for 2017 I'd be buying this one for sure...although I am trying to tell myself that I can have one for personal and then keep this one for blog related things...after all splurging on new beauty products can be counted as expenses for work right? I use to purchase diaries all the time, but I often found myself not using them. So turned to my phone and calendar. But this is actually pretty cool and rather cute. This is quite lovely! I wish I hadn't purchased mine already because this is right up my alley. 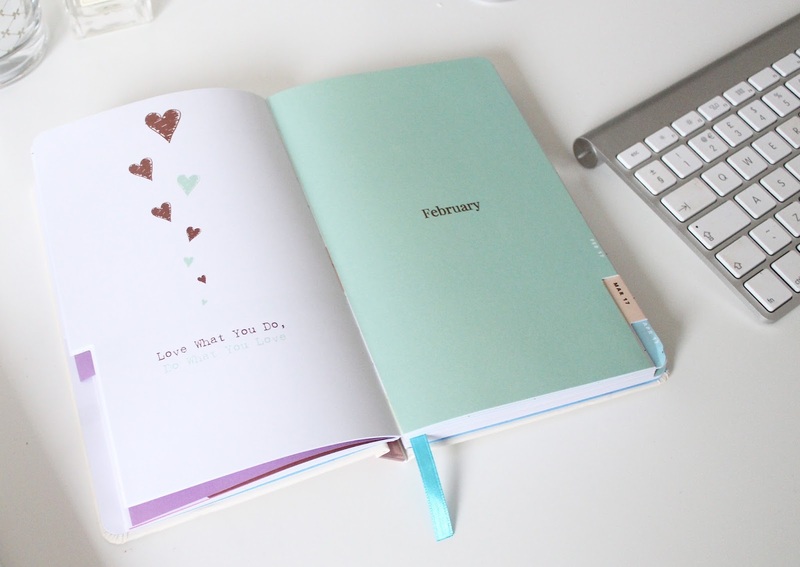 Love love love this diary! I've been searching for a new diary for 2017 and this one just looks adorable. Thanks for the post :).